At the peak of its power, the Soviet Union controlled 22,276,060 kilometres (8,600,835 miles) of territory. The Baltic nation of Lithuania was an unwilling part of this vast empire. Historians have recorded the loss of political rights which Lithuanians endured during fifty years of Soviet oppression. What has not been appreciated is how Soviet dictator Joseph Stalin also crushed the equestrian heritage of Lithuania and the other countries which came under his control. Stalin was no friend of horses. In 1928 he seized control of all private farmland. His ambitious goal was to create an enormous agricultural collective. The first step was to confiscate every animal larger than a chicken. Horses were no exception. They were forcibly taken from the people and placed into state-controlled farms. Many owners preferred to kill their horses rather than have them confiscated by the communists. A massive modern equinocide was one of the results of Stalin’s ill-advised agricultural policy. Experts have calculated that the equine population of the Ukraine alone dropped from 32 million down to 17 million horses. Yet like other dictators before and since, Stalin realized that horses also presented a potent political threat. The Soviet system was designed to keep people close to home, where they could be kept under tight social, political and geographic control. Horses threatened to undermine this oppression. People who could ride could travel without permission. Resistance and rebellion could be spread from the saddle. Stalin decided to crush that possibility. In 1928 he passed a law making it illegal for private individuals to own a horse. In addition, the Soviets devastated the national equestrian cultures of countries such as Lithuania. Only a handful of individuals were brave enough to hide horses. A rare few took steps to preserve their nation’s historic horse breeds. After decades of equestrian repression, the advent of glasnost and perestroika inspired the birth of an anti-communist independence movement. In 1990 Lithuania became the first nation to break free from Soviet control. Political, economic and social changes were an immediate necessity. But once Lithuania’s independence had been assured, the country’s riders began to revive their ancient equestrian culture. Not only were traditions rejuvenated, a series of remarkable journeys were taken on Lithuania’s famous Žemaitukai horses. Gintaras Kaltenis is one of the modern Lithuanian Long Riders who is leading an effort to reclaim his country’s heritage and protect its horses. Having authored a book about his country’s riding renaissance, he agreed to answer questions for a special interview. History books are quick to recall tales about the Roman Empire, the British Raj and other powerful European kingdoms. But can you explain how Lithuania, which is now a small country in northern Europe, once controlled a vast territory? Lithuania can be proud of its rich history. It has the oldest Indo-European language and in the 15th century our ancestors ruled the largest state in Europe. The Grand Duchy of Lithuania, which spread from the Baltic to the Black Sea, held power across Belarus, Latvia, Lithuania and parts of Poland, Russia and Ukraine. 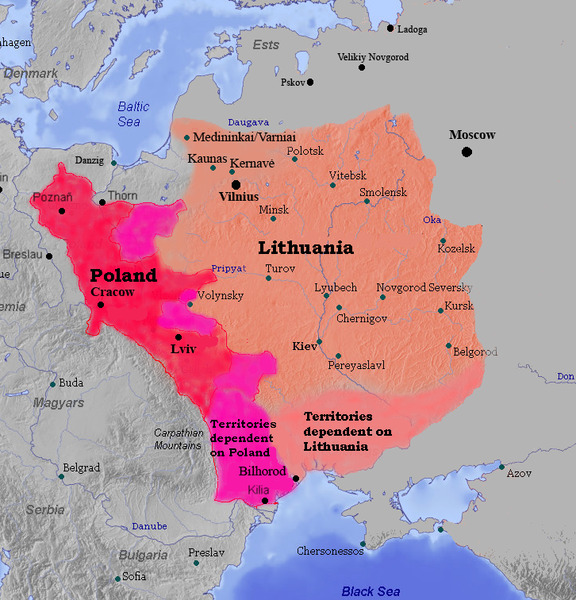 But long wars with Lithuania’s neighbours resulted in part of the territory being lost. The Grand Duchy of Lithuania existed until 1795. At the height of its power, it reached from the Baltic Sea 2,000 miles south to the Black Sea. When people think of "horse countries" they usually imagine Argentine Gauchos, Texas Cowboys, Russian Cossacks or Genghis Khan's Mongols. 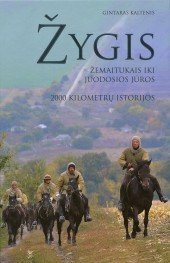 Does Lithuania have a strong equestrian history? Many people have heard about Genghis Khan but only a few people remember how Lithuania’s ruler, Duke Algirdas, and his cavalry triumphed over the Mongols at the Battle of the Blue Waters. This victory prevented the khan’s army from further migration into Europe. Lithuania’s Grand Duke Algirdas defeated the Mongolian Golden Horde in the "Battle of the Blue Waters" in 1362. Can you explain the role Lithuania's remarkable Žemaitukas horses played in your country’s equestrian history? Lithuania is the home of the Žemaitukai, an ancient breed descended from the wild Tarpans which originally inhabited Europe’s steppes and forests. They are small but strong and tough. Since Lithuania is historically the land of farmers and warriors, this horse has always played an important role in our culture. All our victories were achieved thanks to the Žemaitukai. In battle, they would bite, kick and attack the enemies’ horses. The country’s coat of arms still shows a Lithuanian knight on such a horse. Although they helped make Lithuanian history, the famous Žemaitukai horses are now in danger. 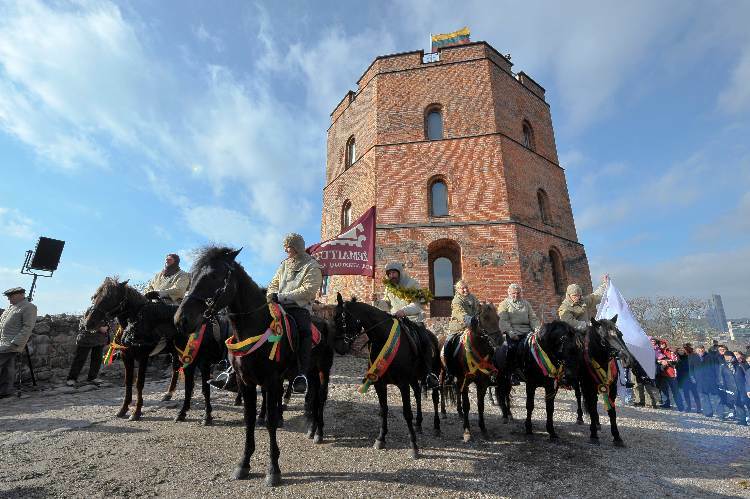 In 2011 a team of Lithuanians decided to ride Žemaitukai horses on a special equestrian journey from the Baltic to the Black Sea. The ride was made in honour of a famous Lithuanian horseman. Can you tell us who he was, where he rode, and why he remains a hero to Lithuanians? The ride to the Black Sea was a historical and cultural journey. It was dedicated to the memory of Lithuania’s national hero, King Vytautas the Great. According to legend when Vytautas reached the Black Sea, his horse drank from the salty water. 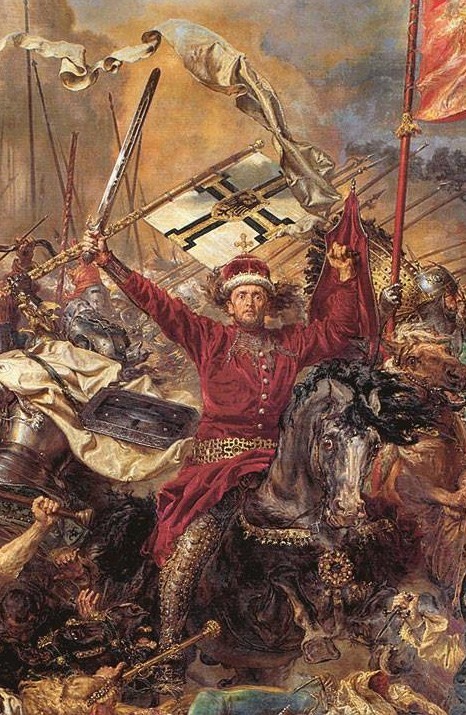 King Vytautas and his army had no doubts about what type of horse to ride. That is why they chose this breed for their long ride. We wanted to see if 600 years later our modern Žemaitukai horses could complete the same journey done by the king and his horses. Vytautas defeated the legendary Teutonic Knights in 1410 and became one of Europe’s most powerful rulers. He is still revered in Lithuania today, where boys often bear his name. Whose idea was it to make the ride to the Black Sea? The idea to reach the Black Sea on horses came from the father of our team leader, Giedrius Klimkevičius. His father was the trainer of the national football team. During a match near the Black Sea, he noticed a memorial pillar which marked the place where Vytautas the Great had reached on his journey. Because Giedrius was an avid rider, his father encouraged him to confirm the legend and then ride there. Giedrius shared this idea with Gintautas Babravičius, who is a passionate traveller and founder of the Wanderers Club. This led to the forming of an experienced team of Lithuanian riders mounted on Žemaitukai horses. How many riders made the journey and what were their names? Ten riders were selected so as to reflect Lithuania’s geographical and national variety. The Lithuanian Long Riders set off on their 2,000 kilometre ride from the Baltic to the Black Sea. How did you manage to feed and care for so many riders and horses? Of course our journey was far easier than the one made by Vytautas. In addition to the riders, we organized a team of support vehicles which carried our tents, food, medical and farrier supplies. A veterinarian and a blacksmith were among the drivers. So we had good logistics and no enemies! Though the Lithuanians followed the route taken by King Vytautas, the modern travellers had a blacksmith and a veterinarian accompany them on the trip. Because of modern difficulties like traffic, was it difficult to follow King Vytautas route to the Black Sea? Whenever possible, we followed in the king’s hoofprints. This required us to ride through forests, wade across streams and cross through swamps. But the desire to make a new record was never allowed to become our first priority. The safety of our horses was always of paramount importance. That is why the route was planned by specialists to avoid asphalt and stony ways. How many countries were crossed? We rode through three of the countries which were part of the Grand Duchy, Lithuania, Belarus and Ukraine. How were the riders received along the way? Some people thought we were making a historical movie. They couldn’t believe that we were actually riding to the Black Sea. But I can honestly say that we met only friendly and hospitable people. In Belarus and Ukraine people were waiting with flowers, apples and pies. Teachers dismissed children from classes in order to organize meetings with us. Mayors invited us to dinner. Sometimes the whole village would gather round to meet us. Even the custom officials were nice. They always tried to find ways to help us cross the border. 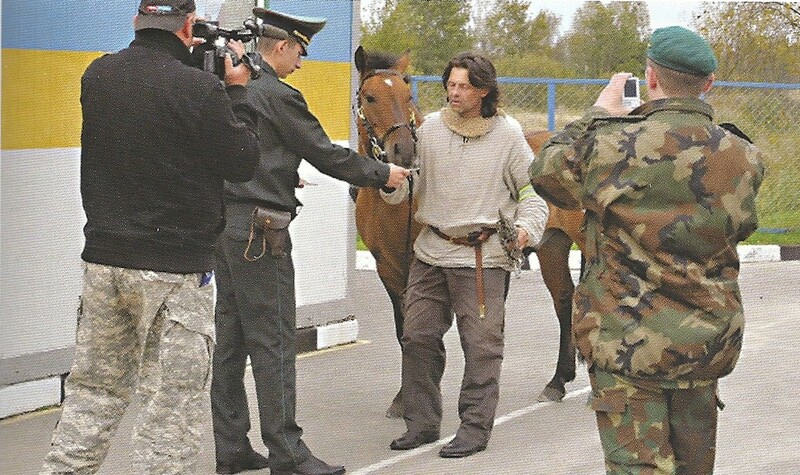 Lithuanian Long Rider Gintaras Kaltenis is welcomed into Belarus. We left on September 8th, the birthday of Vytautas the Great. On average we rode 50 kilometres a day. After thirty-eight days in the saddle, our horses stepped into the waters of the Black Sea on October 17th. We had reached Ochakiv, the place where the king’s horses had supposedly drunk. 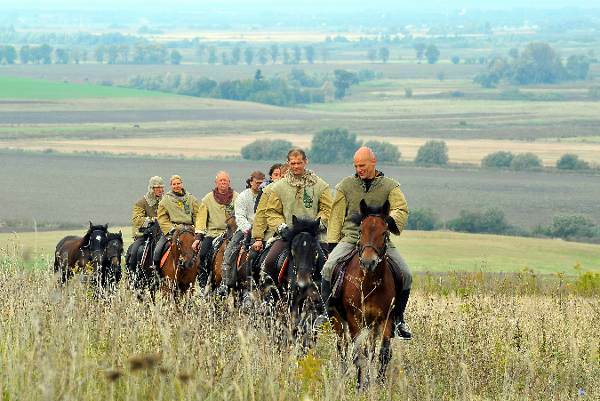 Six hundred years after King Vytautas completed his 2,000 kilometre journey, Lithuania’s new generation of equestrian explorers followed his example and rode their horses to the Black Sea. The journey was about 2000 kilometres (1243 miles). Since we had ridden more than a thousand miles, we became the first Lithuanian Members of the Long Riders Guild. Did the Žemaitukai horses live up to your expectations during the ride to the Black Sea? Even though they are not big in size, these horses are strong, smart, lively and emotionally dependable. Plus, our country’s history had shown that the breed has great stamina. Dr. Audrius Kučinskas is a veterinarian and the head of a university medical department. He joined our team in order to take blood samples, examine tendons and measure muscles during the journey. At the end of the trip, Dr. Kučinskas concluded that the horses had accomplished their task perfectly. They were in better shape than when they started. So our decision was proved to be 100 percent correct. But they did surprise us in one way. They developed a tremendously strong collective identity and became emotionally bonded to each other. 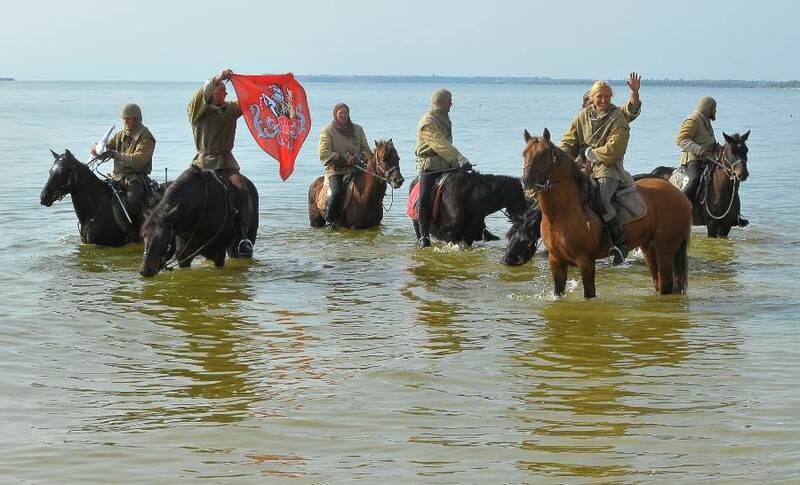 At the conclusion of the journey, the team’s veterinarian announced that the sturdy Žemaitukai horses were stronger than when they began. Was the Black Sea ride the last chapter or have you gone on to other adventures? Thanks to the success of this journey, Lithuanian Long Riders soon made another special journey. That journey was in remembrance of how King Žygimantas Augustas escorted the body of his young wife Barbara Radvilaitė from Krakow, Poland to Vilnius Cathedral in Lithuania. We rode 1200 kilometres (745 miles), through Poland, Belarus and Lithuania, along what we called the “Monarch’s Love Route.” But we are not planning to calm down and just tell our grandchildren about these past adventures. Our next trip, which will also include carriages, will honour the Lithuanian engineers who built the road to St Petersburg in 1836. 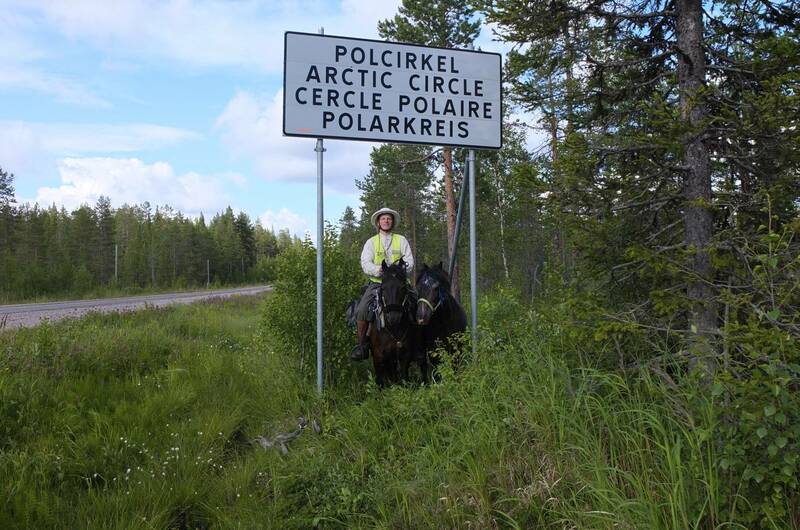 One of the Lithuanian Long Riders, Vaidotas Digaitis, recently used his Žemaitukai horses to make a solo journey from the Baltic Sea to the Arctic Circle and back. Will your Žemaitukai horses continue to play a part in these journeys? After the Second World War the Žemaitukai were close to extinction. They only survived because of the enthusiasm of a few breeders who realized these horses represented a part of our country’s living heritage. Even today there are less than 500 of these fine animals. One of the goals of our journeys is to tell the world that the Žemaitukai horse is peerless in travel, endurance racing and tourism. Why is it important for nations to learn from Lithuania and preserve their equestrian heritage and freedom? There is a saying in Lithuania. Whoever has no past has neither present nor future. When we make a ride, we journey along the path of our nation’s history but at the same time we are looking towards the future. 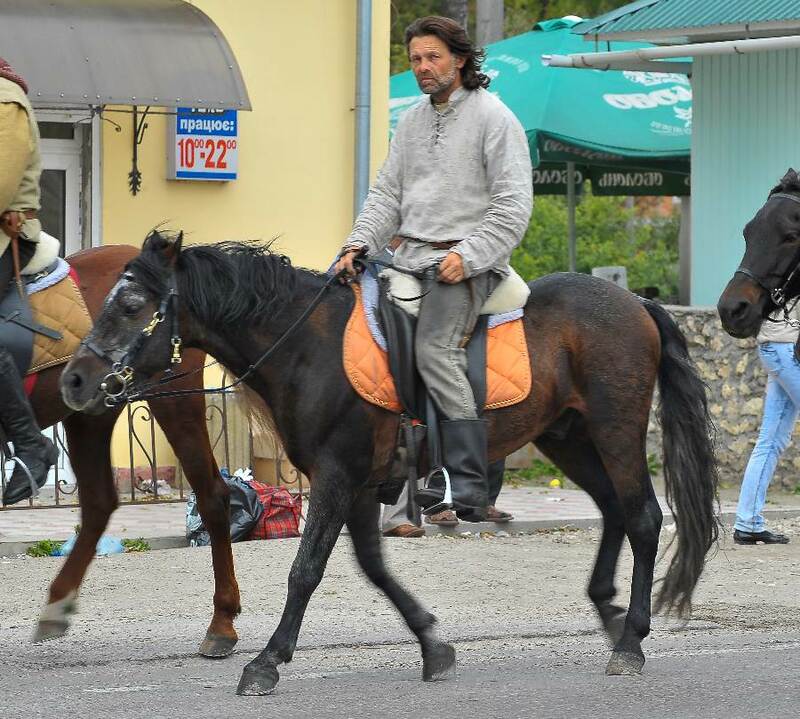 Gintaras Kaltenis has written about the Lithuanians' ride to the Black Sea. The book includes a DVD about the journey.